The studio was set up as a social venture in Pune to revive heritage metal crafts. You’ll hardly find handcrafted high-end metalware in the market, so the studio aims to fill that void. And, to be honest, they do a fabulous job at it. In keeping with home decor trends, they have minimal wall accents, which include wall decor and simple shelves with a cutwork motif. We also loved their floaters, which would look elegant on a coffee table or out on the porch or at the doorstep during festivals. 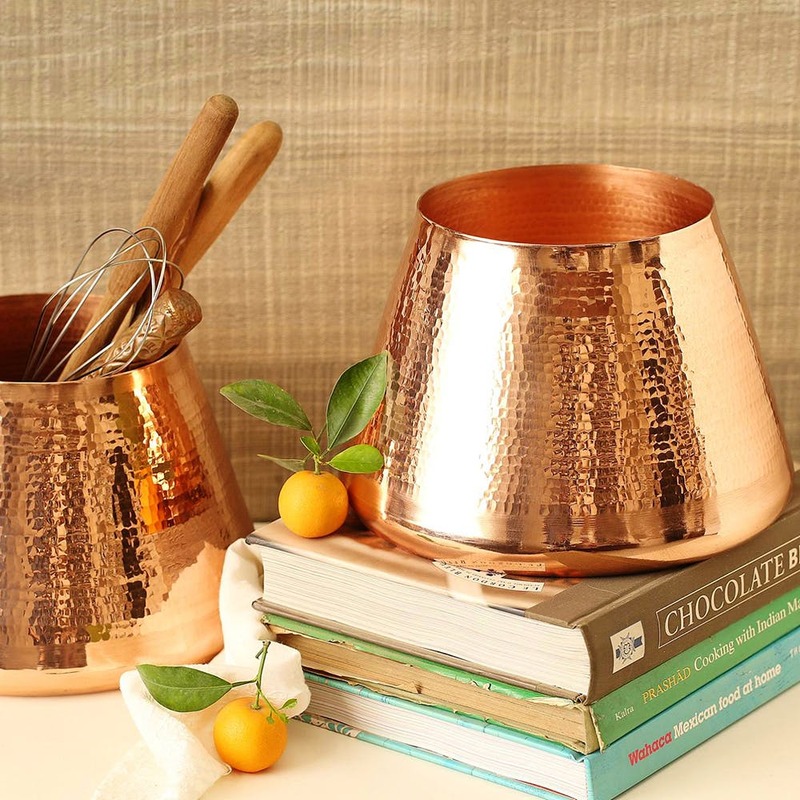 They also design photo frames, buntings (toran), boxes, vases, planters among other utilities that you could use around the house and support copper artisans. You can also elevate your dining set to copper from their vast range of cutlery. And, if you’re one to reduce plastic waste, they have copper infusers, straws and tumblers. If you’re planning to add something fancy to your serveware and cookware, splurge away. The cheese boards are on our wish list. There’re also collections you can choose from: rough copper, high-tea, heritage, bidri craft, ceramics and metal among others. And, the brand can help you out with wedding and corporate gifting too. You can buy tea-light holders starting at INR 350 and the price point moves up for other products. Stock up the eco-friendly metal straws, they’ll be handy with the current plastic ban and awareness to reduce plastic waste.